Anthony is a widely recognized expert in energy efficiency, water efficiency, and renewable energy. An advocate of clean sustainable green power, he remains devoted to the advancement of progressive innovative technologies. He is always deeply thought-provoking and eminently practical, as well as inspiring and entertaining … a combination of qualities that are a must for any successful conference or meeting. He teaches his unique modernized formulas for success and personal fulfillment, and is a widely recognized leader in peak performance strategies. If you are looking for a speaker or expert who can equip you and your team with the strategies and tactics necessary to navigate today’s challenging business environment, you’ve come to the right place. 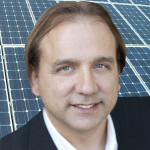 For the past 20 years Anthony De Vito has shared his experience and insights at industry events, conferences, panels, and community planning meetings, educating and inspiring individuals to better understand the benefits of renewable energy. He contributed to the development and implementation of solar electric programs for Home Depot and Costco, as well as having worked for the Nevada Power Company (NV Energy) as a Financial Analyst in their treasury department. He was Toastmaster of the Year | Regional Club Level (Toastmasters International). Anthony Phillip De Vito Jr. was born in Rochester, New York, on November 22, 1966, to Anthony De Vito Sr. & Grayce Rosa De Vito. He is bilingual: Speaks German fluently on a professional level; and is currently learning Mandarin & Spanish. He has three daughters and lives in Los Angeles, California. In his early 20’s he worked for the US Army as a journeyman electronic technical sergeant and shop foreman (E5) of 18 soldiers working with the last vestiges of the ARPANET (network that was the basis for the Internet … Advanced Research Projects Agency). Masters Business Administration equiv. Heidelberg, Germany, Bowie State University, 1996, (Master thesis: Econometric forecasting of Deutsche Mark currency trends utilizing Artificial Intelligence / Neural Networks), soft computing, fuzzy logic, rough sets, evolutionary computation, probabilistic evidential reasoning, trend predictive networks, multi-valued logic.